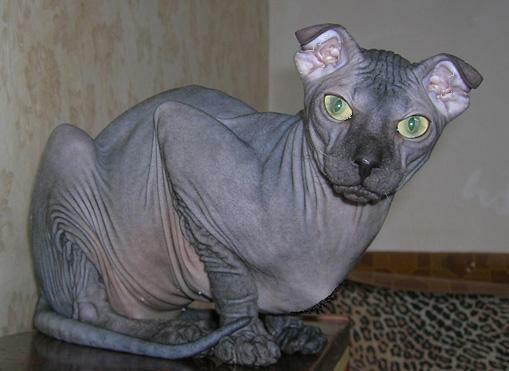 The Ukrainian Levkoy is a breed of medium-sized cat with a well-proportioned body that may appear slender, and at the same time muscular. 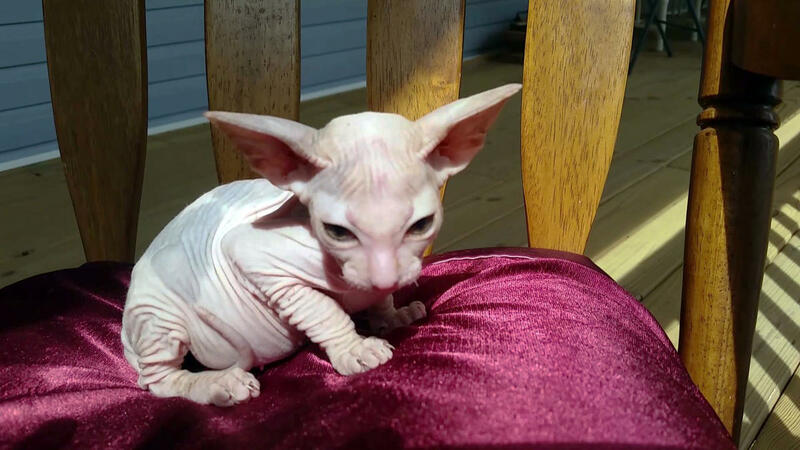 It is distinguished by its dog-like face, an angled head, and soft, hairless, and elastic skin, which sometimes become wrinkled. 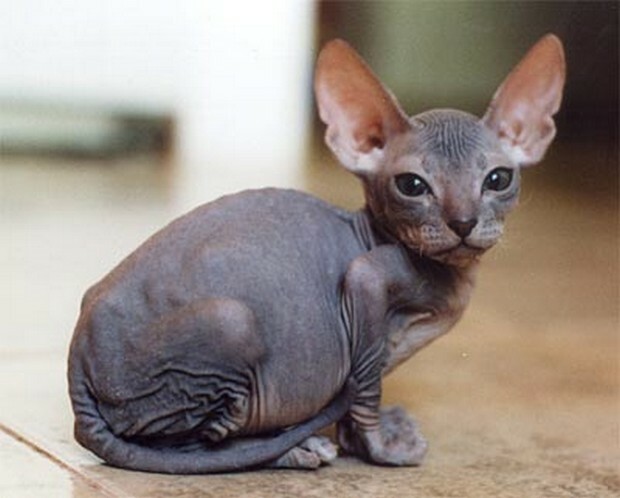 Its inward-folding ears, large almond-shaped eyes, and a long tail further enhance its strange and unique appearance. For the first time in 2000, a Ukrainian breeder Elena Biryukova produced the Levkoy cat by crossing a Donskoy female with a Scottish Fold male. 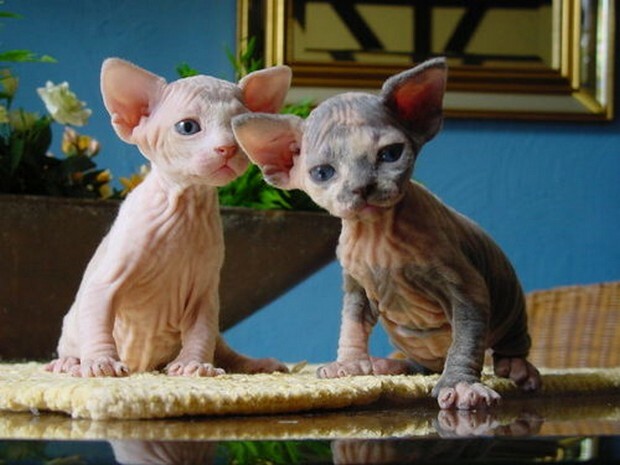 The resultant breed inherited the dominant genetic trait of baldness from its Russian Donskoy parent and the trait of folded ears from the Scottish Fold parent. 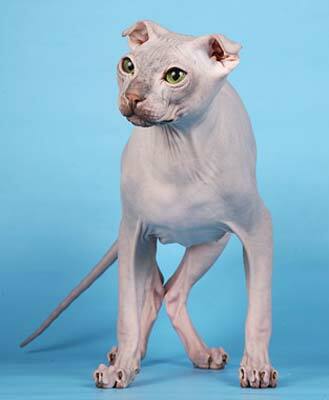 To obtain its individual attributes, other domestic cats including the Orientals were used in breeding. In 2005, the ICFA RUI recognized this breed in Ukraine, and it was recognized by the ICFA WCA in Russia in 2010. This breed is still under development as it is being mated by the breeder organizations. 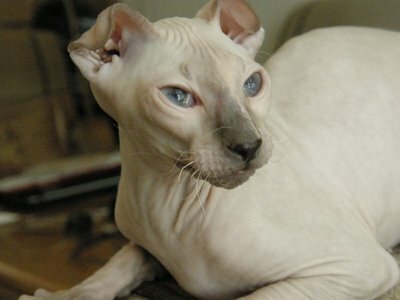 Despite its weird appearance, the Levkoy with its loving, playful, and pleasant personality makes a great feline companion for pet lovers. It exhibits initial reluctance and reclusive behavior when brought to a new environment, but apart from that, it is extremely sociable, enjoying the company of humans as well as other pets like pigs, rats, and dogs. It gets along well with children and does not mind playing with them. This pet displays affection for its owner by following him or her around the house, often enjoying a loving cuddle. As a vocal cat, it likes to meow and purr through the day but makes more noise at dinner time. 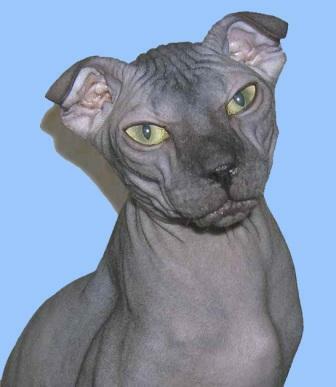 The hairless (or minimal haired) Levkoy is prone to skin related problems. Feline sun blocks should be applied if you decide to take your pet out during the day. However in the cooler climates, it needs igloo-type beddings and fleece lined jackets to protect from the severe cold. 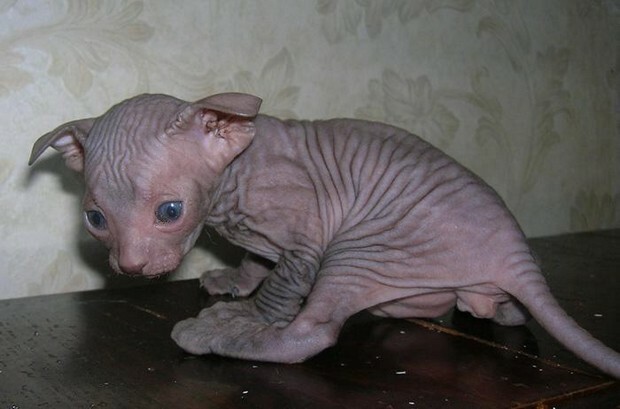 Just like humans, this bald cat can sweat resulting in accumulation of oil on its skin and toes. Therefore, a daily wiping or sponging routine is recommended for the removal of excess oil. Bathing once a month with mild feline shampoo will keep its skin clean and free from infections. While its nails should be clipped every 2-4 weeks, you can brush its teeth every week for dental hygiene. Its ears may produce excessive wax, which should be regularly cleaned with a soft cotton ball dipped in a liquid ear cleaner. Some typical health concerns of this breed include sunburn, tooth decay, gum problems, hypothermia, and skin cancer. It may also inherit some of the genetic ailments like hypertrophic cardiomyopathy from its parent breeds. Since these cats are sensitive to heat and cold, they are generally kept indoors. Several playing sessions a day with scratching posts, trees, and other cat toys will help them in their indoor activities and prevent boredom. If you have an indoor garden, allow your Ukrainian Levkoy cat to run and play in it. Training them is easy because of their high intelligence level. Start housebreak, obedience, and socialization training early, preferably within a short time after adopting the kitten. Apart from providing your pet with rich sources of animal protein (like raw beef, chicken, sardine, salmon, and tuna), you can include quality canned and dry foods in its diet. Occasional treats can be given but not in excess. Make sure that you divide your pet’s daily food into several smaller meals. While the adults need 2 meals each day, the kittens should be given 3-4 small meals. 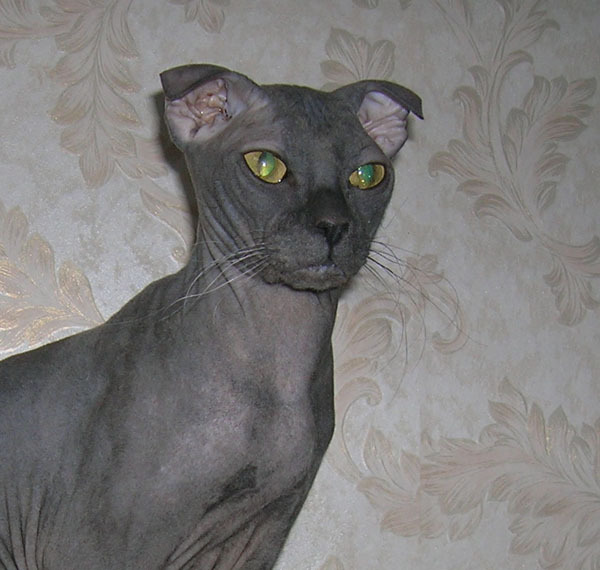 Currently, there are 10 Levkoys who have been conferred the titles of “The Best in Show” and the “Champion” by the Russian and Ukrainian clubs and cat fanciers. 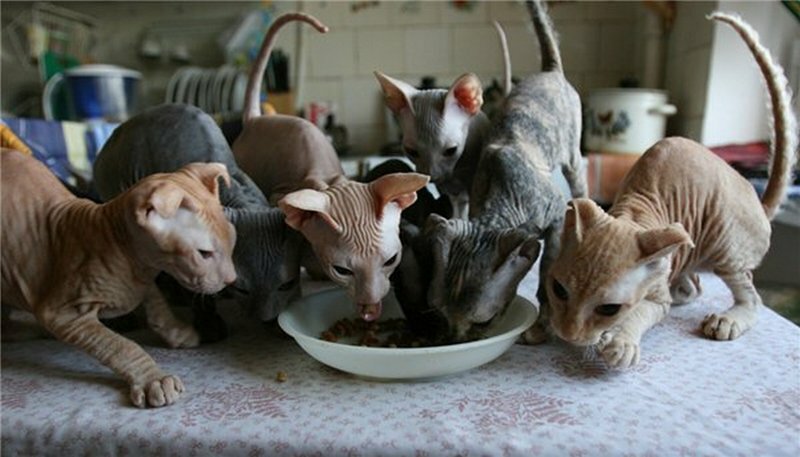 The hairless Levkoy kittens are much weaker than the other breeds and need extra attention until they are at 16 weeks. As per show standards, some faulty characteristics of this breed include crossed eyes, round eyes, weak chin, short stocky body, and short round head. Published on July 30th 2015 by Jack Steaven under Ukrainian Cats. Article was last reviewed on 26th May 2017.